At Action Lock Service, we provide a comprehensive range of automotive locksmith services in Perth and the surrounding area. One of the most annoying, inconvenient and time-consuming disasters you can run into is accidentally locking your car keys inside of your car or losing your car keys, especially if you are out shopping or not at home. Losing your keys or locking them inside your automobile isn’t just a huge inconvenience, it can also be very dangerous depending on where you have parked or what time it is. If you are having issues getting into your car, contact Action Lock Service immediately for the fastest service, day or night, 7 days per week. We take our automotive locksmith services very seriously, offering true 24/7 emergency mobile locksmith services. One of the most important services Action Lock Service provides is true on call, emergency 24-hour call out service, seven days a week. No matter where you are in Perth and the surrounding areas, call us out, day or night, and we will send a professional, skilled automotive locksmith to you right away. All of our automotive locksmiths are trained and qualified and are held to the most professional standards. Each of our locksmiths will be able to unlock your car, day or night no matter the make and model. We take our call out service very seriously and we will never leave you stranded. Cut Vehicle Keys to Code – If you have lost all your keys, we can obtain a code from the VIN or ignition cylinder and cut new ones for you. We do of course check to make sure you are the legal owner of the vehicle in question first. Unlock All Makes of Vehicles When Keys Are Locked Inside – Whatever make or model you happen to own, we can unlock it for you in the event that you accidentally lock your keys inside. Supply and Program Motorbike Keys and Scooter Keys – We cater to motorbike and scooter riders too: whatever you need, just give us a call. Remove and Reprogram Vehicle ECU – Problems with your Engine Control Unit can quickly be fixed by our team of experts. Please call for further details. Insurance Work – Car owners whose insurance policies cover the replacement of keys and rekeying of locks can take advantage of our vehicle locksmith services in Perth. Action Lock Services offers a full range of car remote and key replacement services across Perth. 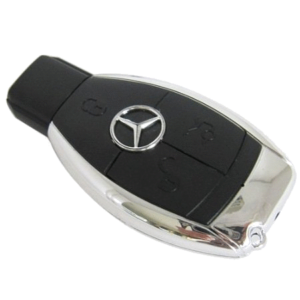 Along with standard car key replacement, we can also replace transponder keys, car remotes and proximity keys for all make and models of vehicles. If you have lost your transponder key, our professional mobile locksmiths can produce you a matching key to getting you back up and running. We have a full range of proximity and transponder keys, both branded and aftermarket to match any vehicle. Supply and Program All Types of Transponder Keys (Aftermarket and Genuine) –In the event that you should lose your transponder key, we can supply you with a brand new one that is programmed to function perfectly with your vehicle. Supply and Program Vehicle Proximity Keys – We can program and supply vehicle proximity keys for all makes and models currently on the market. Just call and let us know the relevant details. Action Lock Service can repair broken or faulty proximity keys, transponder keys, and remotes for your vehicle. We supply and program all types of remotes (aftermarket and branded). Whatever your replacement key needs are, we will have you covered. Supply and Program All Types of Remotes (Aftermarket and Genuine) – If you should happen to misplace the remote that came with your car, we can supply you with a high-quality replacement unit and program it for you as well. No need to make a special trip to the nearest dealership, just call your friendly Perth auto locksmith and we will take care of everything for you. 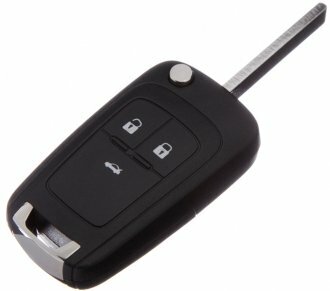 Repairs to Damaged Transponder Keys and Car Remotes – In many cases, we can repair damaged car remotes and transponder keys, saving you the extra cost of having them replaced. If your keys are lost or stolen, your vehicle and belongings inside of your vehicle are very susceptible to theft in the future, it’s a great idea to rekey your locks for a safety measure and peace of mind. Action Lock Services can rekey your vehicle to any key you would like to use. If you have a common key you would like to use, we can rekey your vehicle to work off of that key you provide. We can also rekey your vehicle to a new set of keys in the case that your current keys have been lost or stolen. Rekey Car Locks to Supplied Key – If you have a key you would like to use with your vehicle and have conclusive proof of ownership, we will be more than happy to rekey your locks to work with the key in question. Rekey Car Locks Due to Stolen Keys – When your keys are stolen it is important to have your locks rekeyed, to ensure your vehicle security is not compromised. We offer an affordable service for all makes and models available in Australia. In addition to all the standard makes and models on the road in Western Australia, we specialise in European imports. If you need a car key replacement for any type of European vehicle call us today. No matter what your auto lock issues are, Action Lock Services will have a solution for you. Our services range from providing you replacement keys or extra keys to repairing damaged keys, re-keying locks and ignitions, and our true, 24 hours, 7 days per week call out emergency service. Action Lock Services has you covered. Contact us today to discuss your needs. Whatever your needs, we can meet them at an affordable price. For further information or to request immediate assistance, please do not hesitate to call on the number provided. Don’t be like our American friend in the video below, call a professional and get your car lock problems resolved!